Sgt. Virgil Litterell trains officers in hand-to-hand combat situations. People who have been on the department for 20 years say they can't ever remember a time when an officer saved himself by using a knife. The suspect, Jeremy Thomas, 38, was released from the hospital Thursday and booked into the Tulsa County jail. He was transferred to jail in Osage County, where he was wanted for driving without a valid driver's license and speeding. Witnesses heard the officer yelling over and over, "Let go of my gun, let go of my gun." It's a reminder of how dangerous police work is and how fast things can turn deadly. Officers say those skills aren't needed all that often. "We have people resist us, trying to escape, all the time—that's very common for officers to deal with that," said Sgt. Virgil Litterell. "It's not common to have somebody take it a lot further, attack you, tackle you to the ground, start punching you in the face in a brutal assault against the officer. That's not common, at all." 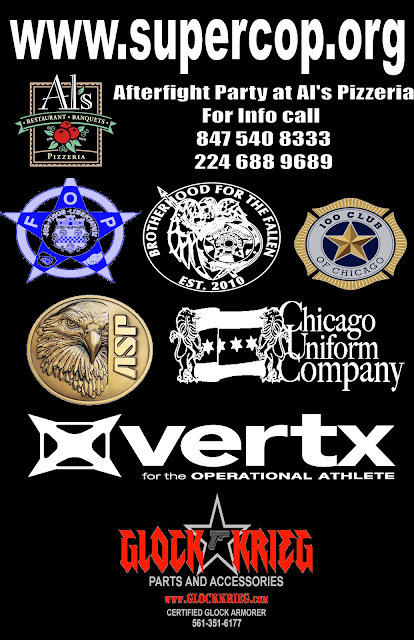 "The average officer is not some skilled MMA/UFC type fighter. They're not. The average officer is a lot like anybody else," Litterell said. "They've had some training, for sure, but they're nowhere near a practiced or skilled fighter. Their fitness program mirrors the average citizen. They're not super human." He said deadly force decisions are never easy, but if someone is shooting at an officer, it's pretty basic: the officer shoots back. "I think anybody, no matter how much experience you have, if you're being dominated, you know you're unable to control the situation, you know you're losing," Litterell said. "You talk about, we have to win—the idea of winning is slipping out of your grasp and you have to do something. It's a very frightening scenario, for sure." Friday night on News On 6, Lori Fullbright will talk to the actual officer involved to get his first-hand account of the incident. 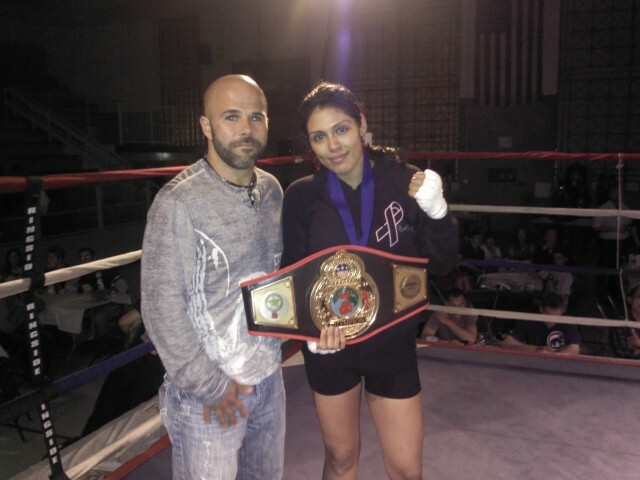 I would like to thank everyone who came out and supported the 2012 SUPERCOP. From our sponsors VERTX-who hadnded out the belt for Knockout of the night and FOP lodge #7 ( even though they didnt support by showing up that evening, there were plenty of lodge 7 members in the crowd and fighting!!) to all of the friends and family who came out....a big THANK YOU! The SUPERCOP is on !!! in a week and a half, Chicagolands finest will step in the ring and Battle it out!!!! Come on out for a great cause!!! Thank you to those who support SUPERCOP!! 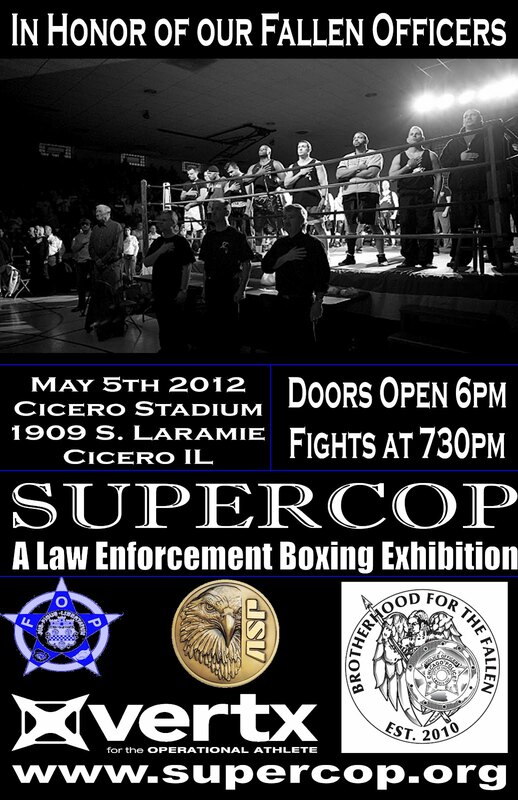 on May 5th at the Cicero Stadium!! Supercop.org. Watermark theme. Powered by Blogger.